Browse: Home / The 16th anniversary of 9/11 — Is Osama bin Laden chuckling in his grave? 53 per cent of Americans now doubt the official version of 9/11. 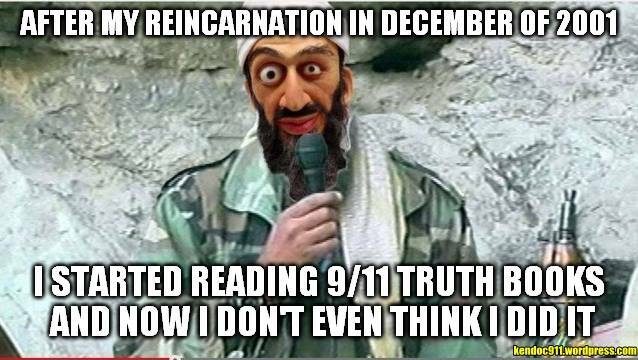 Even Osama bin Laden has begun to express his doubts from beyond the grave. 11 September, 2017. This afternoon, Matt Campbell will stand outside BBC Broadcasting House in London’s Portland Place, protesting about the killing of his brother, Geoff, and 66 other Britons, in the 9/11 terror attack at the New York World Trade Centre. After the horror on September 11, 2001, there was no trace of Geoff. 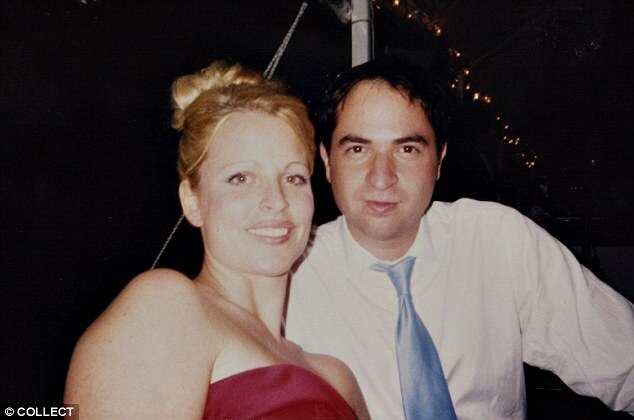 The 31-year-old risk analyst had been attending a conference on the 106th floor in the North Tower, a short stroll from the Manhattan apartment where he lived with his American fiancée, Caroline. At first, Matt and his family clung to the hope that his brother Geoff was alive, until one year later fragments of a shoulder blade bearing Geoff’s DNA were found among Trade Centre rubble at a landfill site. Matt began asking questions. He has not stopped since. He, and others who will be at the BBC protest, refuse to accept the official story about 9/11: that four U.S. airliners were hijacked by Islamist terror chief Osama Bin Laden’s pilots. 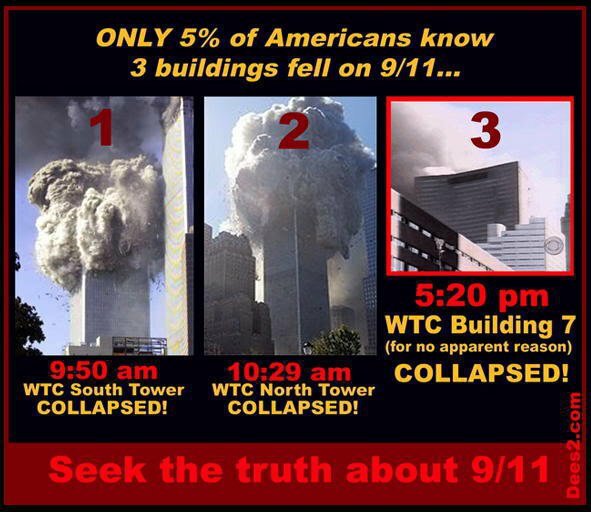 Two were flown into New York’s famous Twin Towers, which collapsed. A third rammed into the U.S. Defence Headquarters at the Pentagon in Washington DC. The last went down in rural Pennsylvania, 150 miles north of the capital, after a tussle between the hijackers and passengers, later portrayed in the Hollywood film United 93. Seven hours later, a third tower at the World Trade Centre, WTC7, fell to the ground over seven seconds, even though no plane had hit it. 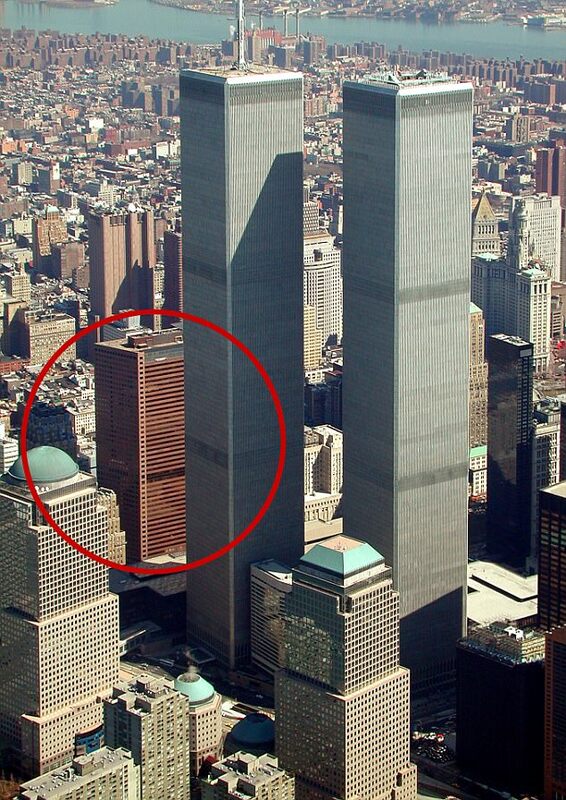 Building 7, 100 yards from the 110-storey Twin Towers, was less than half their height at just 47 floors, and few people even know of its existence. It had already been evacuated after the planes had hit the main towers. In total, 2,977 people died, provoking President Bush to mount the ‘War On Terror’ that led to the invasion of Iraq, with the UK in tow. Yet as the 16th anniversary of 9/11 has now arrived, Matt, a former City worker who is married with three children, insists that 9/11 did not happen in the way we have been told and that there has been a huge official cover-up to disguise the truth. He is not alone in his quest. A survey in U.S. magazine Live Science last year revealed that most Americans (53 per cent) believe the U.S. Government has concealed — and continues to conceal — vital information about the 9/11 attacks. Crucially, a team of engineers at the University of Alaska concluded this week, after two years of forensic research, that fire could not have caused the collapse of WTC7. Indeed, though the official story is that WTC7 was weakened by fires caused by debris from the attack, it’s the only steel skyscraper in the world ever to collapse purely as a result of a blaze. 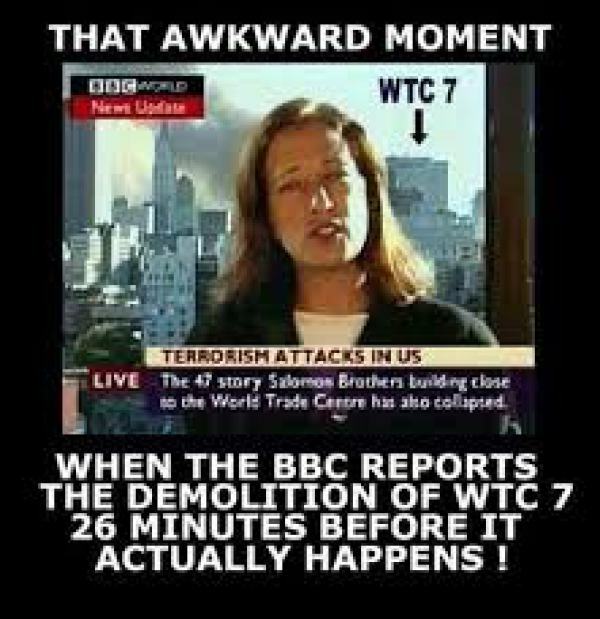 And a new book by an academic who has become an authority on 9/11, Professor David Ray Griffin, says that to believe that this building fell to the ground without explosives being involved is asking the public to believe in ‘miracles’. In other words, on that September morning in 2001, did the White House fail to stop — or even fabricate — an outrage against its own civilians so as to provide a pretext for war on Al Qaeda and Osama Bin Laden? Although there have been countless conspiracy theories about 9/11, the idea that the U.S. Government connived in it still appears utterly implausible and has, of course, been denied by U.S. intelligence services and the White House. Initially — like most people in America and Britain, including Matt Campbell — Professor Griffin dismissed any notion that the attacks were an inside job aimed at triggering the war on terror. It was a year later that he changed his mind, when he was writing about American imperialism and 9/11 for his latest academic work. As part of his research he had come across a ‘timeline’ of the day’s events based on newspaper and television accounts. It raised several anomalies that caused him to doubt the official version of events. And, however outlandish it seems, his argument bears consideration. One of the most puzzling anomalies was that none of the hijacked planes was intercepted by fighter jets, even though there would have been plenty of time to do so and it is mandatory procedure in the U.S. if there is any suspicion of an air hijack. In the nine months before 9/11, the procedure had been implemented 67 times in America. Then there were the irregular stock market dealings before the tragedy. An extremely high volume of ‘put options’ — bets on the price of shares falling — were purchased for the stock of Morgan Stanley Dean Witter, the international financier that occupied 22 storeys of the World Trade Centre. Even more remarkable was the volume of ‘put options’ traded on American and United Airlines, which operated the four aircraft hijacked by the terrorists. On these two airlines, and only these, the level of share trade went up by 1,200 per cent in the three days before the catastrophe. As the shares dropped in response to 9/11 the value of these options multiplied a hundredfold. Someone, somewhere, made $10 million in profit. But, of all the conundrums, the most perplexing is how the three World Trade Centre towers fell to the ground. The official version is that the Twin Towers collapsed because their steel columns were melted by the heat from the fuel fires of the two crashed planes. Professor Griffin and other sceptics believe the Twin Towers were deliberately blown up. They claim their controversial theory is corroborated by first-hand testimony from firefighters at the scene. But a more extraordinary challenge to scientific reason would happen on the day of the attacks in respect of the third tower, WTC7, which contained the offices of the secret service, and then mayor Rudy Giuliani’s emergency command centre, fitted with bullet- and bomb-resistant windows as well as secure air and water supplies. In 2008, a U.S. Government-ordered report by the prestigious National Institute of Standards and Technology (NIST) concluded a six-year probe into the WTC7 attack. Of course, this may just be a mistake made on one of the most hectic news days ever. Certainly, the BBC seems to think so. It is why he, and other Britons who disagree with the official version of 9/11, have chosen to make their protest outside BBC headquarters on the afternoon Monday, 11 September — which is today. This unlikely rebel, a trained theoretical physicist, former IT expert in the City, and now a reflexologist, has refused to pay his BBC licence fee for the past four years. He claims: ‘The BBC has presented information to the public that breaks its own editorial guidelines. In at least one documentary, it removed the sounds of huge explosions going off in WTC7 moments before its collapse. ‘I think my brother Geoff and many others were murdered in an event that conflicts with what we have been officially told. ‘I believe there has been BBC complicity in a deliberate cover-up about how thousands died on that day nearly 16 years ago,’ he said yesterday as he braced himself for the sad anniversary.